All city of Starkville employees could see a little more pay in about a year’s time, should the Starkville Board of Aldermen approve a cost of living raise tonight. 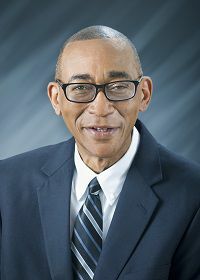 At the board’s meeting, Vice Mayor and Ward 6 Alderman Roy A’. Perkins will give a presentation proposing an across-the-board cost of living raise for all city employees. The last such raise was approved in 2015. The raise would become effective on April 6, 2020, the third quarter of the fiscal year, when the city receives its property tax funds. Perkins said he would make a motion for a two-percent raise, costing the city $160,000. A three-percent raise would cost the city $240,000. He said he chose to have the raise enacted in the third quarter, so it would have the least impact possible on the city’s finances. Perkins said he believes the city could afford such a raise for its employees. For more on the push for pay raises, read Tuesday's Starkville Daily News and then check back Wednesday for full coverage from the Starkville Board of Aldermen meeting.